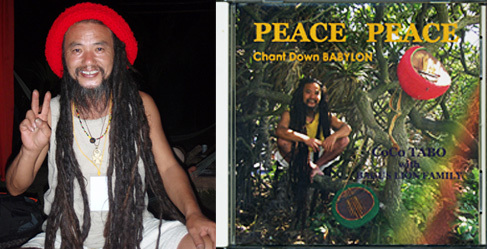 Cocotabo was invited to PAI reggae festival (NO WAR MAKE LOVE) held in `me-honson` region of Norther Thailand in 2008. 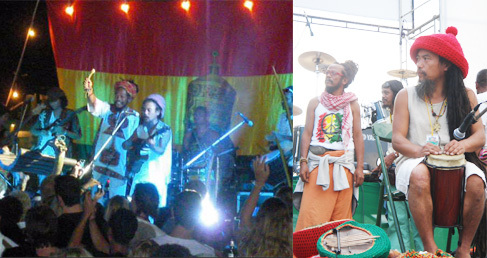 Cocotabo participated in a nationwide tour of root reggae No.1 band and JOB2DO in Thailand. Cocotabo sang at the opening performance played percussion and did a live tour though out Thailand in almost 30 cities. JOB2DO front man has the same age as Cocotabo of 50. Lusterware of Thailand and Cocotabo of Japan, practice positive, simple and modest ways of life. They talk about the awareness issues that both countries face though their songs they send a message to the world of the future of out planet and its people. In Southern Thailand Cocotabo finished a wonderful recording in the style of Nakhon Si Khanom. Cocotabos` new album is being produced now ! 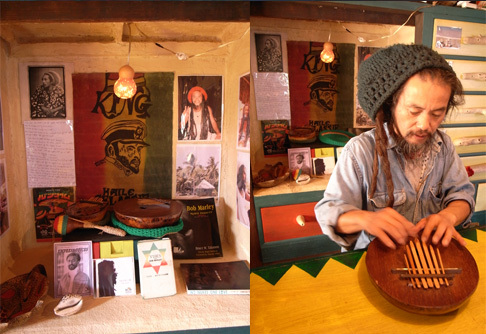 Let's watch "WAKE UP LION in PAI reggae festival"
Human roots are in Africa. We Japanese exist in Asia after time and travel. 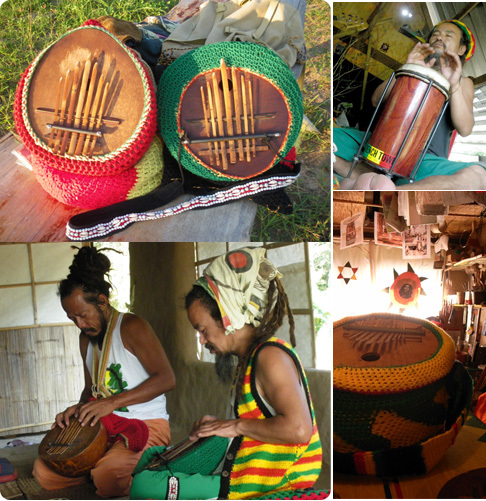 Cocotabo`s bamboorimba, is influenced by the African Kalimba. His instrument is made from bottle gourds from Indonesia. 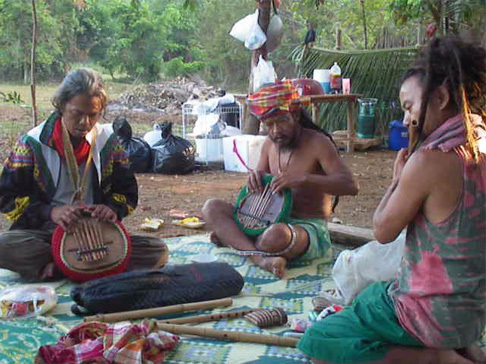 The bowstrings are made from smoked bamboo. Smoked bamboo is a 100 year old tradition and is done over the kitchen range. At the time when the land was joined together the seeds trapped in the ground separated with the land when the Earth separated to form, Africa Australia, Europe, Asia and America, so Indonesia found these seeds growing. 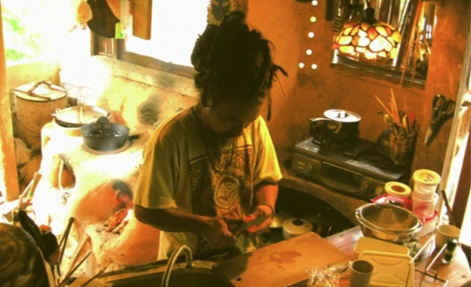 Cocotabo wants to share his songs of the Ainu, this song has roots in Jomon, African roots and man`s prayers of life in Okinawa played on the bamboorimba. It turns out through investigation of DNA that the Ainu in Northern Japan, the Mayan in South America and the DNA of people in Africa to be the same. Let's watch "BAMBOOLIMBA in NAKHON SI THAMMARAT"
Cocotabo made four workshops on how to make the KAMADO oven. 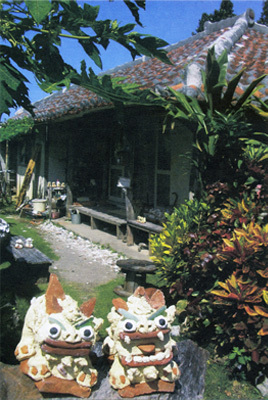 In 1993, Cocotabo started rentinga `kayafu` house in Aichi prefecture. `Kayafu` is a traditional straw house from 120 years ago. 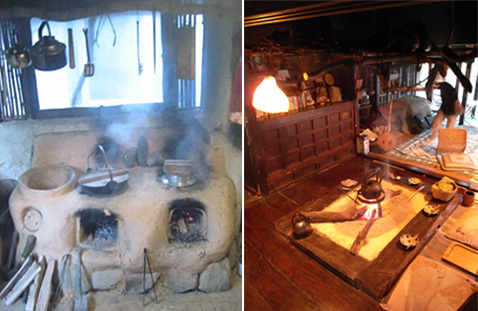 In this house, Cocotabo learned how to make `kamado` from the last living master of the art in Ashike - Aichi prefecture. Red clay is found from, the Japanese Alps and stones from the mountain rivers in the region. The mortar is made from red clay and straw. Since the master of the Kamado art is about 80 years old he showed Cocotabo a sample of the Kamado oven. For two weeks Cocotabo saw how we can use the earth to build things in a natural way and was thankful to the master for showing him this beautiful art. The master said; we must remember the God of fire, fire is one of the elements of our culture and we must remember its importance to our lives everyday. After this first experience in Ashike, Cocotabo was commissioned to make a Kamado oven for a restaurant in Ebisu Tokyo. Cocotabo also did workshops in Hida Takayama, Tokushima and Kochi. All received with a great reception. 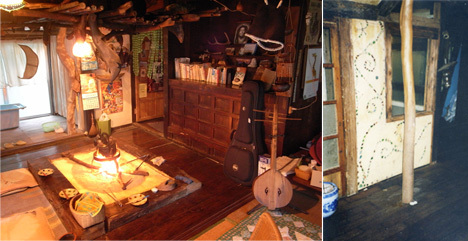 Cocotabo also makes workshops of the `Kamado` and `bamboorimba` in Okinawa too ! Cocotabo spent ten years fixing a one hundred year old traditional Okinawan house. He made a cooking stove, kitchen range and a fire place in the house. In 1987 Cocotabo was the chef and owner of an International restaurant in Tokyo for five years. Cocotabo wanted no boarders bewteen the guests and the chef`s or the workers. After several years Cocotabo got concerned with the amount of waste he and the world was producing so stopped the restaurant to say his message through a different medium. Cocotabo wanted to share his message through music, and focus on a simple way of life in the countryside. In the deep mountains of Nagano and Aichi prefectures, where there was no gas, electricity or people, only monkeys, deers and bears. At this point Cocotabo wanted to change his lifestyle to be more self-sufficient. The mountains of Nagano are very hard during the winter so after five years of living int he mountains, Cocotabo moved to Okinawa`s in the Northwest side called Yambaru with beautiful sea`s and mountains. This is where Cocotabo searched through more than 150 houses to find on that was empty. The village of Yambalu, is more than 90 years old. During the ten years Cocotabo has lived in Yambalu, he has maintained the house through many typhoon's and long rains. However through these ten years he has entertained many guests from many countries and shared many experiences, in his free guest house. Copyright COCOTABO.com All right reserved.